7 Common Medical Myths Debunked! Whether it be grandma’s medicine cabinet full of unusual treatments passed down from generation to generation without any sort of scientific backing to it or just plain old cluelessness brought about by old wives tales, there are countless medical myths found within our cultures. Today, we’d like to debunk 7 of these common medical myths! The one scientifically proven source of colds is viruses. Wet hair or even wet clothes will not make you vulnerable to a cold unless they cause you to become so cold that you become hyperthermic, which in that case it may be possible to catch an illness. Here’s the thing about exercising…when you exercise, you become extra hungry and therefore usually end up eating more. So, if you’re taking in additional calories, even if you workout, there’s a significant chance that instead of losing weight you will actually end up gaining weight. This being said, the best way to lose weight while working out is to ensure that when you are putting calories back into your body after a workout that they are from lots of vegetables and lean proteins. Scientific research has never found any credible link between chocolate and acne. Acne is caused by many other factors which include hormones and genetics. Some think that the sugar in milk chocolates may exacerbate acne in persons who are already predisposed to it, but you can rest well knowing that chocolate will not cause you to have break-outs. Teething on its own does not cause children to run fevers. Rather, what inevitably occurs with most teething children, is that they will put things in their mouth in an attempt to soothe their teething and by doing so, they expose themselves to bacteria which will cause a fever. Scientific data proves this myth wrong, by showing on any healthy brain scan that there are hardly any dormant areas, meaning that we’re using the majority of our brain power. Many self-help gurus push this as a way to market their programs to help you to better reach what they believe to be your full potential. Rest assured knowing that you’ve always used much more than ten percent of your brain. Scientists say with certainty that sitting close to the television will not cause any permanent damage to your eyes. This myth was started roughly 70 years ago when the first TVs became available for public purchases. Mother’s quickly learned that their children were wasting much of their time being glued to the television and without any known certainly expressed to their kids that they’d impair their vision from sitting too close and from watching frequently. However, neither are true and it is safe to watch television from any distance. Eye strain may occur, however, it will not cause permanent impairment to vision. Likely the reason this myth was started, was because someone got a cramp while swimming which caused them to become unsafe in rough waters which could have led to a potentially deadly situation. However, lots of things can cause cramps. Sure, eating a large meal may cause you to become lethargic and it may make swimming a bit more challenging to you, but it’s certainly no reason to wait an hour after eating before going swimming. Rather, it’s better to eat so you have the calories your body needs to properly fuel your body while swimming. There you have it, 7 medical myths debunked. Just remember, if you think that it sounds like nonsense, there’s a good chance it likely is and you should always do your research rather than just following in good faith. Many of these medical myths have caused people to go out of their way to avoid situations which could have brought happiness and safety to their lives. 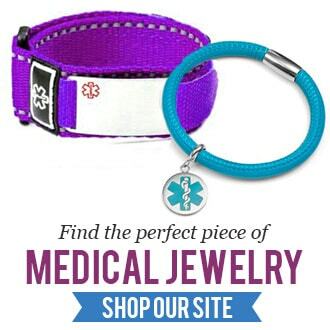 For additional medical safety, be sure you visit our site StickyJ Medical ID for medical jewelry including custom medical ID tags, medical alert necklaces and medical ID bracelets for all ages. See our Medical ID’s on Pinterest!